Supreme Court Judge Evans Hamaundu has dismissed with costs an application by UPND leader Hakainde Hichilema and his deputy Geoffrey Bwalya Mwamba to have High Court Judge Mwila Chitabo recuse himself from the matter in which they are seeking the High Court to grant them the right to be heard in their 2016 Presidential election petition. Sitting in Kabwe this morning, Judge Hamaundu who passed the ruling together with Judges Charles Kajimanga and Roydah Kaoma said the Supreme Court has no jurisdiction over the matter. This was an appeal in a matter which was before High Court Judge Chitabo. In the High Court, the Attorney General had raised a preliminary issue stating that the High Court cannot overturn the decision of the Constitutional Court. 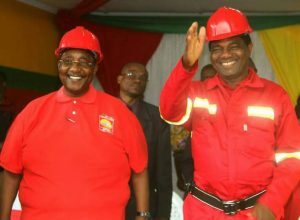 Hichilema and Mwamba then asked Judge Chitabo to recuse himself from the case, accusing him of being biased. But Judge Chitabo refused to recuse himself and they appealed to the Supreme Court where the Attorney General filed submissions arguing that the appeal was before a wrong court as it was supposed to go to Court of Appeal. The matter is now going back to Judge Chitabo to deal with preliminary issues as raised by the Attorney General that the High Court cannot deal with matter after the Constitutional Court has pronounced itself on the 14 days.